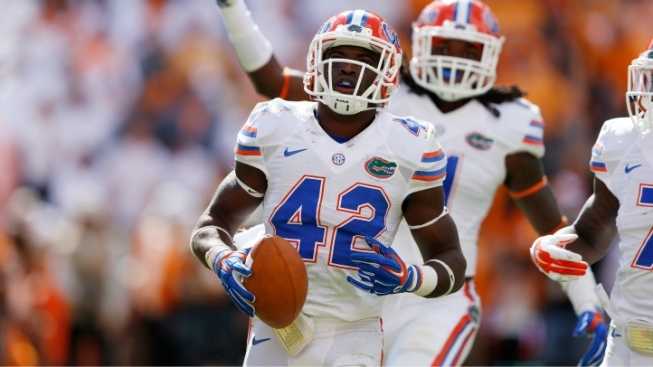 The Dallas Cowboys are giving the University of Florida secondary a good look in their pre-draft preparation. Last week, it was reported that the team with the fourth overall pick in next month’s draft scheduled a workout with former Gators cornerback Vernon Hargreaves; according to Charean Williams of the Fort Worth Star-Telegram, they also worked out safety Keanu Neal. At 6-foot, 211 pounds, Neal is a hard hitter with good size. In 2015, his junior season, he posted 96 tackles, a pair of sacks and an interception. Neal is still considered a second or third rounder by many, but has been moving up draft boards after an impressive Pro Day showing.